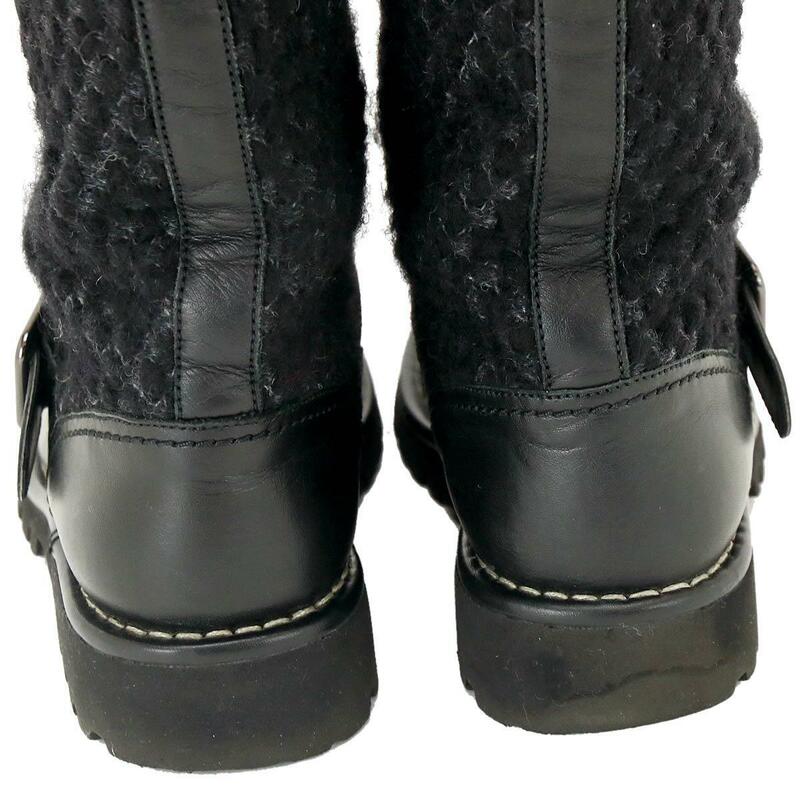 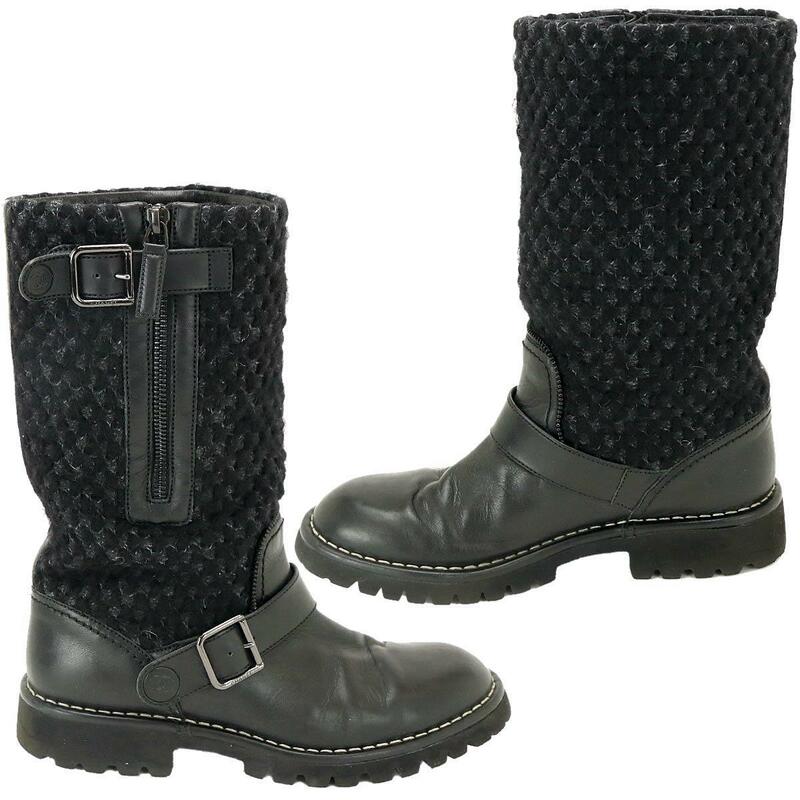 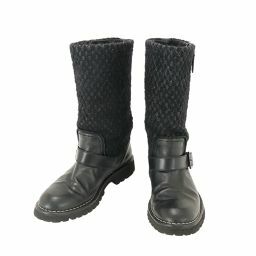 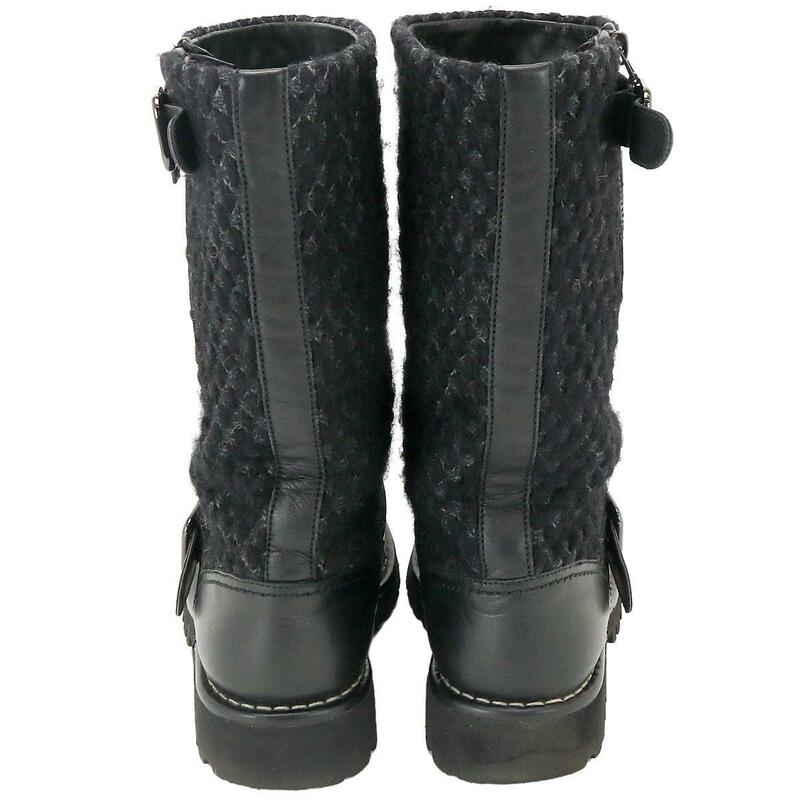 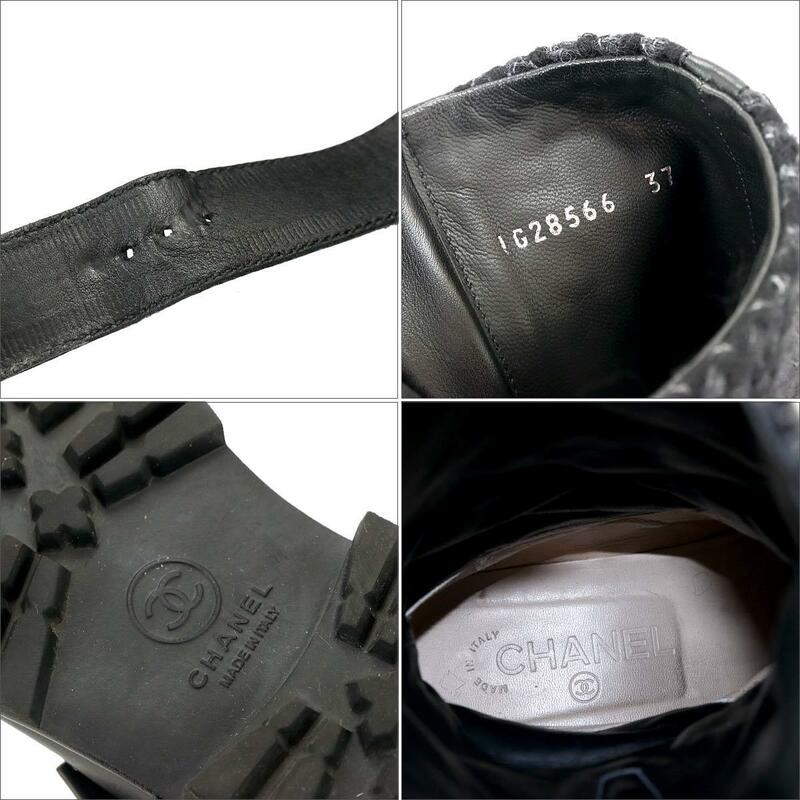 Chanel Engineer Boots Tweed 37 Black [Accessories] ★ ー The best place to buy Brand Bags Watches Jewelry, Bramo! 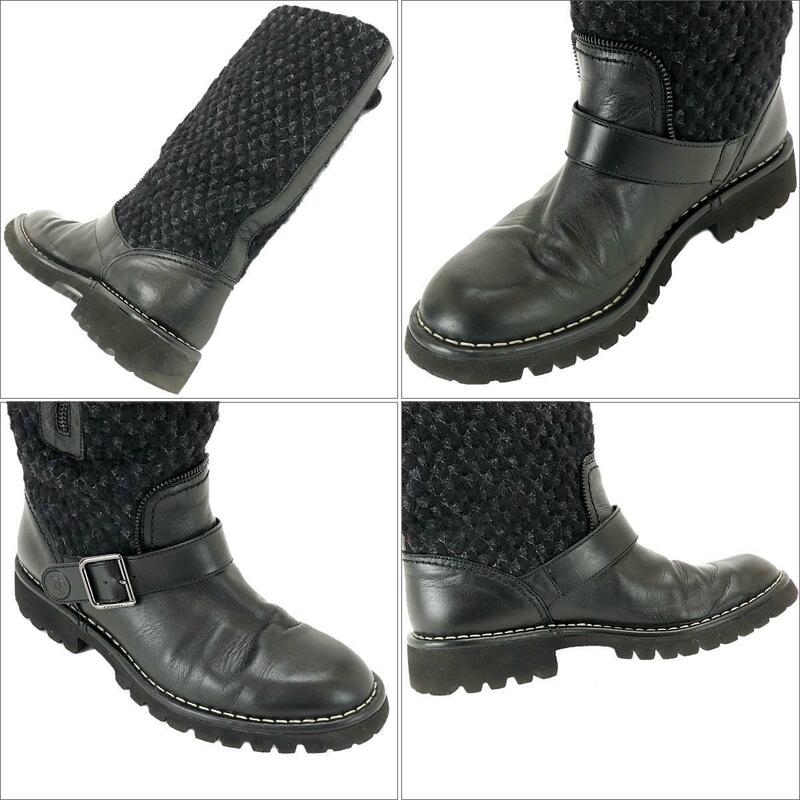 It will be fashionable engineer boots from Chanel × Tweed leather material. The rounded toe design is cool and cool with a high cut, and it is a recommended gem that can also accommodate casual and mature styles. 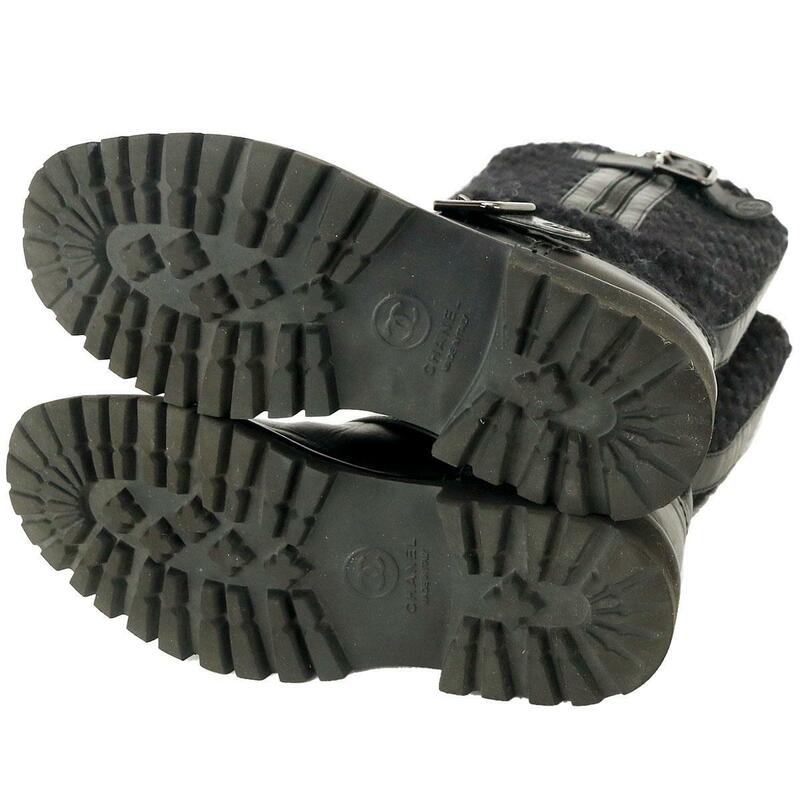 Outside: There are some threads and wrinkles on the leather, some threads and corners on the outsole, and small scratches on the fittings. 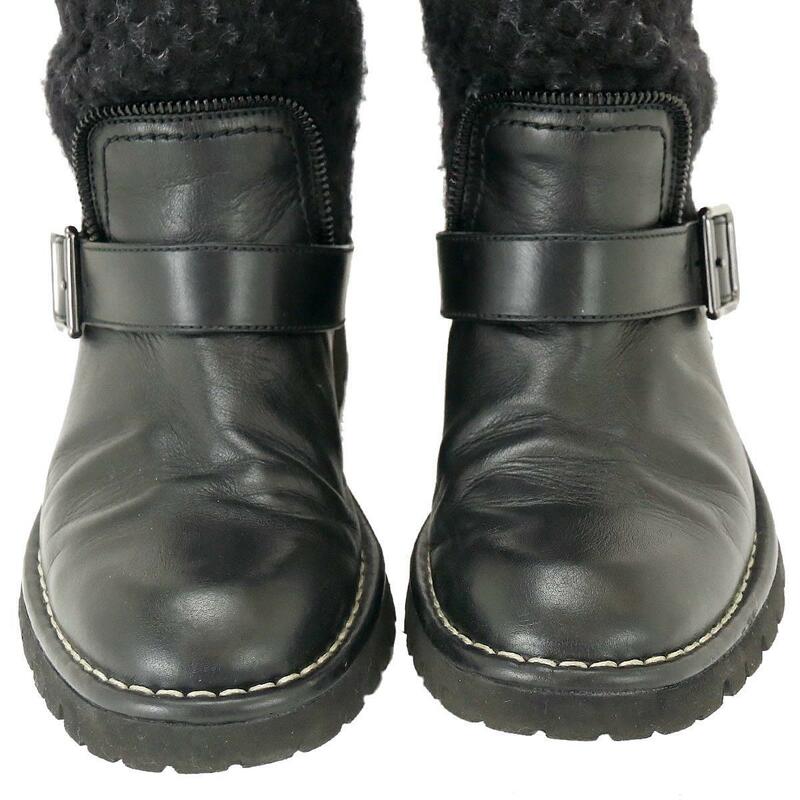 Inside: There are dirt and wrinkles on some slips and insoles. 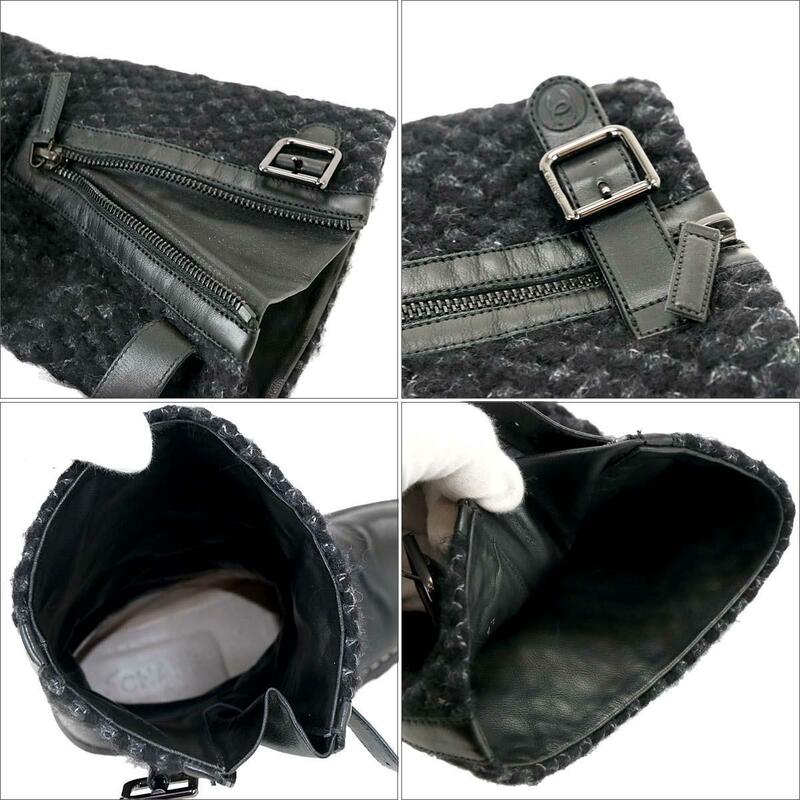 There is some damage by use, but it is a refined elegance like Chanel that you can continue to use.